Want to play PUBG lite PC for free right now? Then read on. 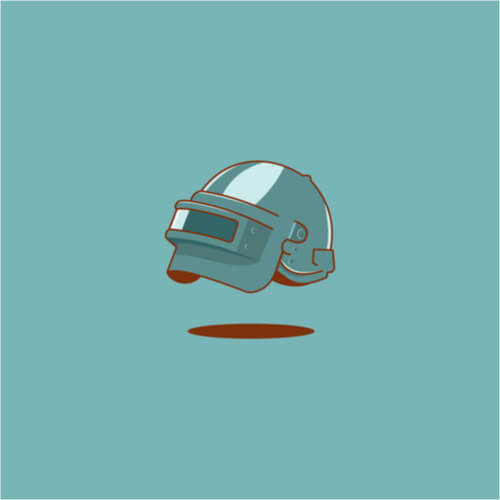 Fans of the hugely popular video game PUBG and having older computer machines have a big reason to rejoice at this very moment in time. Because Bluehole recently made the official announcement of releasing a public beta version of the video game developer’s PUBG Lite. And the game is exactly what its titles says it is. PUBG Lite is the light edition of the massively popular online multiplayer shooter video game for the PC. The company has officially titled the new release as PUBG Lite PC. However, the only unfortunate thing about the new lite version is that currently, only people who live in a region called Thailand would have access to it. We know, that is one big ‘unfortunate thing’ right there. 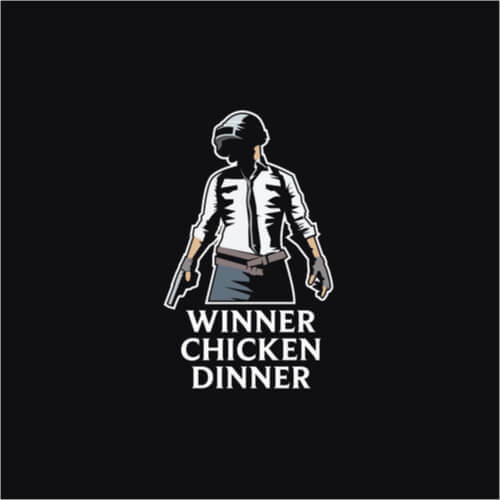 And while it is true that the video game developer of PUBG Lite will definitely release the latest version of PUBG worldwide at a later date, currently it has not even given an official date or any kind of tie frame. So we can only hope that Bluehole actually makes the PUBG Lite PC game available not just for people in Thailand but for everyone else on the planet. That, of course, does not change the fact that right now, only players from Thailand would have the opportunity to experience the PUBG Lite PC version. The PUBG Lite PC will reduce the quality of the graphics as compared to the standard version of the PUBG video game. Of course, that will not change the fact that everyone would still continue to play PUBG standard version (along with Fortnite). Now, since you have come to this guide, you will have the option of playing PUBG Lite PC right now and that too in any country. You will have to read and implement our PUBG Lite guide here, of course. In this super-helpful guide, we will go over all the steps that you will need to complete in order to play PUBG Lite on PC right now from any location in the world. In fact, our play PUBG Lite PC guide will work for anyone living in any country on earth. It goes without saying that the very first thing that you need to perform is to download the official client for PUBG Lite PC. You will have to go to this website. Now you need to perform a click on the huge organ button that you see in the exact middle of the new window. We’re not sure how one is supposed to miss that button so you should not have any problems in completing this step. Once you click the button, it should start the download of the official file for PUBG Lite PC named PUBG-Lite-Setup.exe. We recommend that you save it on your desktop so that you have an easier time of finding it once you need it. Of course, if you are used to another location then, by all means, download it there. The next step is to simply double click the official file for PUBG LIte PC that you just downloaded named PUBG-Lite-Setup.exe in order to begin the related installation process. Now you simply need to click the button that is located in the bottom right of the screen (there are two buttons and you need to click the one that is on the left side rather than the right). This should allow you to proceed with the PUBG Lite installation. Now you need to click the option which appears on the top of the two presented ones (the circled radio buttons, there are two of them and you have to click the upper one). After that, you must click the middle button of the three shown button in the lower right corner of the window. When that is done, you need to perform a click on the button that appears in the middle of the three shown buttons in the bottom right corner of the screen. It goes without saying that you if you want to change the default installation directory then do so by all means. The next step is to simply perform a click on the shown tickbox to proceed to the next step in the installation process. After that, you should click the middle button in the lower right corner of the screen. Now, again, you should click the button which appears in the middle of the three buttons in the lower right corner of the screen to go to the next step. With that out of the way, you must perform another click on one last button which appears in the lower portion of the shown window in order to finish the installation process. You should not have a problem in completing this specific step since there are no other buttons on the screen apart from the checkbox which read in English ‘run launcher.exe’. The next step is for you to close the official launcher for PUBG Lite PC for the moment. After you have done that, you need to purchase a subscription package of a good VPN service. If you do not have access to a VPN service, you will not have the opportunity to play the latest version of PUBG Lite PC or any version of it for that matter. Why do you need a VPN service in this case? Well, a VPN service will enable you to pretend that you are not in your original country but in Thailand. That, in turn, would allow you to unblock the game in Thailand and outside it. Our research shows that the best VPN for PUBG Lite PC is NordVPN. There are other options as well such as ExpressVPN and others. Some find it hard to pick one between NordVPN and ExpressVPN, but we prefer NordVPN for the simple reason that it is much more comprehensive and economical. Here is the step by step guide on how to use a VPN for PUBG Lite PC. First, go to the official website of your favorite VPN service and then sign up for a package that suits you. The next step is to download the official VPN app for your desktop or laptop machine. If you are using NordVPN then all you need to do is to go to the official website of NordVPN and go to the downloads section. After that, you must install the official VPN app. Then you need to run the VPN app and then log in when the app requires you to do so. After that is done, you must connect to a server that is located in Thailand from the list. The official NordVPN allows you to easily choose the location of your choice. Look for the complete server list and then look at the Asia Pacific heading. Then click on a server in Thailand. The next step is to click the button that says Connect. Now you need to perform a right click on the clock/time that appears in the bottom right corner of your official Windows desktop. Then you must click on the option that says Adjust date/time. When that is done you should see a brand new window. From there you must look at the option that says Set the time zone automatically. After that, go under the Time zone text and choose the option (UTC+07:00) Bangkok, Hanoi, Jakarta. At this point in time, if you have followed all the steps correctly, you should have modified your machine’s clock and have a connection to the internet via the official VPN app of your choice. After ensuring these two things you must perform a double click on the icon that is related to PUBG Lite. It should be on your desktop since you went through the installation process without customizing much. Now, the thing you need to understand here is that if you have not created an account with PUBG then you need to press the button that says CREATE MY ACCOUNT. Doing so will allow the installer to take you out to the official website of PUBG, directly to the PUBG Registration page. Once there you must create an official account. After you have managed to create your official account with PUBG Lite, you should input your credentials. If you already have an account then perhaps you would already remember your login credentials (username and the related password). Once you sign in you should be able to see a new screen. From there you must press the big button that appears in the bottom left corner of the screen. Note that the first time that you click this big button on the left-hand side you should see the screen start to download PUBG Lite PC files. Our research shows that the current size of all these additional but required files is around 1.4 GB. Here you must make sure that you are connected to the internet via the previously-mentioned VPN app at pretty much all times. 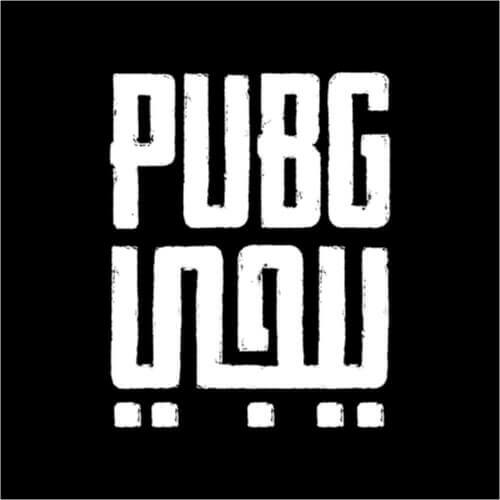 In a situation where you quit the app or you disconnect from the VPN app, the official PUBG Lite PC launcher would close and exit you automatically. Once you have determined that the launcher has downloaded all the required files completely, you should click that same big button in the left corner of the screen in order to launch the PUBG Lite PC version. If you followed our guide precisely like we asked you to, you should not have any problems in playing the full PUBG Lite PC video game regardless of your location on the map. One other important thing that you need to remember here is that you must never disconnect from the VPN app. Not when you are logged in to PUBG Lite PC launcher and dot during the download of additional files phase and certainly not when you are playing the PUBG Lite PC game. Again, if you quit the VPN app then the game would automatically end and/or the installation process would exit. Is it even possible, in other words? You might not have noticed but there are people here on this earth who would break their keyboard and mouse over the thought of making use of a VPN that has the word FREE attached to it. What we mean is that free VPNs exist. They are bad for your privacy. You do not have to believe us on this. Now, on to the part about PUBG Lite PC. Free VPNs are the worst for a game like PUBG Lite PC. Because if you want to unlock and then play the full PUBG Lite PC online right now on your machine then you will have to deal with the fact that your machine will send your data from your current location (for example, you are located in the United Kingdom) all the way up (or down depending on how you look) to Thailand. It adds that notorious latency to your internet connection. Latency is essentially the time your data takes in order to travel from your current location to Thailand. And then, of course, back again. 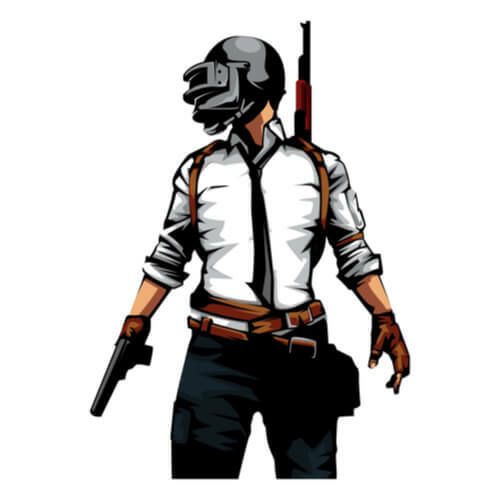 Needless to say, to play PUBG Lite PC right this moment you need to have the services of a fast VPN. And fast VPNs do not come for free. Our research shows that NordVPN is the best VPN for PUBG Lite PC. Click here to sign up for NordVPN right now from the official website and that too at a discount. The problem with free VPN services and their VPN apps is that a ton of users tend to abuse them. Free VPNs are generally massively abused and overused. That makes them very slow. It should make sense to you that you do not really want to sign up for a slow VPN when you are trying to play a game that has speed as the critical component to success. PUBG Lite PC is a first-person online multiplayer shooter game. Hence, it would already give you some lag because of the way so many parts of the game are always moving. You do not want a free VPN further slowing down the whole process. If you have a slow internet connection then, in game, the time it takes you to even see the other player, that player has already blown you away with his/her shots. And you are probably dead too. But because of your slow internet connection, you just can’t see it immediately. That’s not even the worst part of free VPNs. Generally speaking, free VPNs also come with the disadvantage of not supporting many VPN servers. You will need a lot of time and probably a lot of luck if you want to find Thailand connections via a free VPN. You can play PUBG Lite PC before anyone else. PUBG Lite PC is also free. So it should not take you long to come to the conclusion that the only money that you have to spend here is when signing up for a fast VPN service like NordVPN. NordVPN, on its own, is well worth the money even if we do not take into account the fact that it can unlock PUBG Lite PC for you. Moreover, if you are really short on cash right now then you can always save a lot of money by subscribing to NordVPN long term. It offers great discounts to people who sign up for its 2-year deal. In fact, NordVPN can become the cheapest VPN in the world for your needs if you just sign up with the service long enough. In order to successfully play PUBG Lite PC for free right now from any country on planet earth, you should sign up for a good VPN service first. A good VPN service will provide you with everything that you need in order to change your location to Thailand where PUBG Lite PC is available. The developers of PUBG Lite have restricted the game to Thailand only. We recommend that you sign up for NordVPN as your VPN for PUBG Lite PC because it is easy to use, fairly cheap and fast. Moreover, by making use of NordVPN you will give yourself the best chance of reducing your lag and hence improving your kills to death ratio in PUBG. To put it in simpler terms, NordVPN may help you become the last man standing in PUBG Lite. Remember, apart from needing NordVPN you will also need to alter the time or click settings on your machine to match it with that of Thailand. With that out of the way, there is nothing stopping you from playing PUBG Lite in any country from any country on your PC. Not the most valuable comment ever. Hope people can solve their own problems reading this. We’re glad you think this game is super.